I have been a Kulfi fan since childhood. Summer afternoons used to turn melodious with the ‘tan tan tan’ (bell) of the Kulfiwala on his bicycle. All the kids in the neighborhood, would break free from the afternoon house arrest, and shout -” Kulfiwale bhaiyyaaaaaaa… ruknaaaa!” (urging the ice-cream vendor to stop). I remember a basic Kulfi used to cost 50 paise and the richer variants for Re. 1 and Rs. 2. Even for that price, I had to plead to my mom to buy it. Mom used to cajole me…I will make tastier / healthier / more hygienic version at home. But somehow, that Kulfi fascinated me far more than the one she could make. Longing and desire is defined by how much one has to wait – sometimes, the whole summer afternoon ;-)! 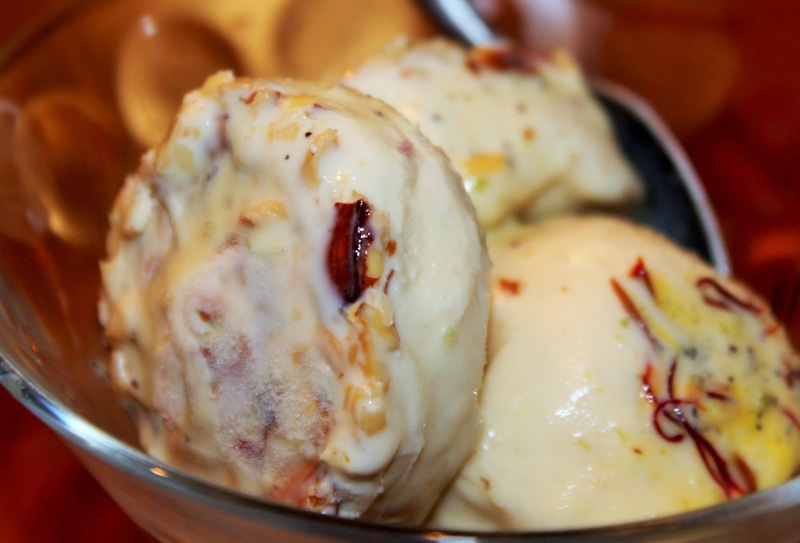 When I moved to the States with my family, we tasted the best ice-creams ever, and simply loved them…but there is something about Kulfi that no ice cream can match. 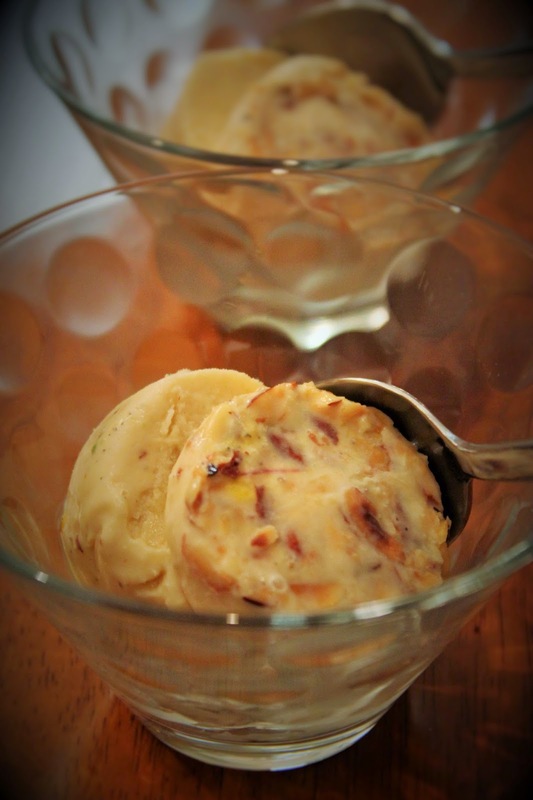 So, began my search for an awesome Kulfi recipe. Most of my finds were elaborate and time consuming. With a toddler at home I never have enough time, so the quest for a quick recipe continued till I found this super easy, super quick recipe on my friend Arundhati’s blog. This one requires very few ingredients and takes little efforts and time – exactly what I was looking for. I could not wait to try. Went grocery shopping, got the ingredients and prepared it that very day. Needless to say, my family and friends all loved it. It was all gone in minutes! Pour the mix in molds and freeze; yup as simple as that!